The mystery knit along is nearly through and I am not. So far I've knit a bit into clue two of four. 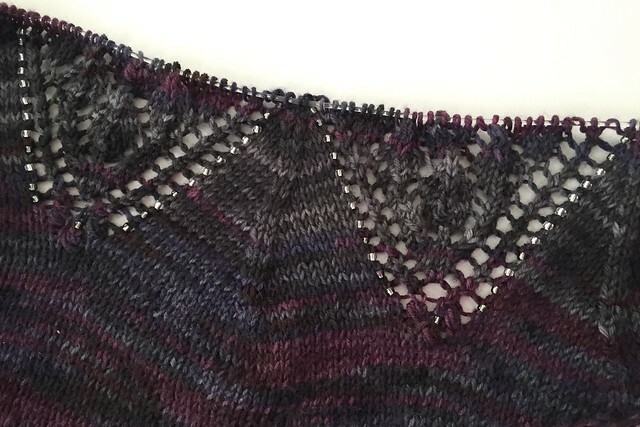 The last clue was released today so I've got lots of knitting ahead of me if I want to finish this by the end of the month. If you look closely you can see I decided to use the beads and both colors of yarn. 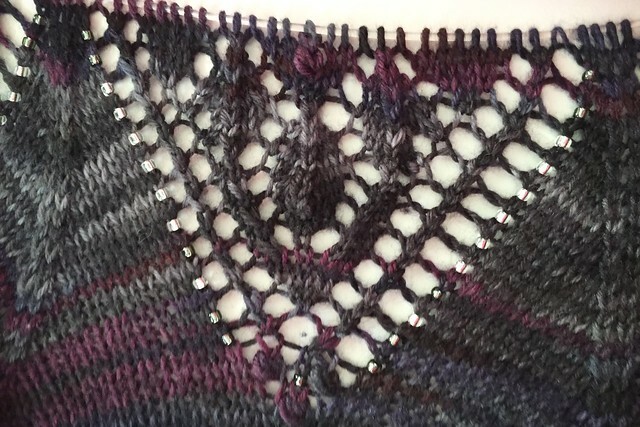 Not sure I'm interested in using beads in any other knit projects, it's a little cumbersome to add them and I'm surprised I haven't spilled them. Fingers crossed I don't.